The majority of the public is against the wearing of fur on ethical grounds. Opinion polls have found that 57% of people in the US are against fur farming , as are the majority of citizens polled across Europe . For example, 74% are opposed to fur in the UK and 66% in Poland. 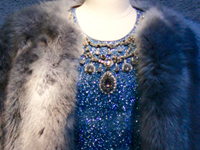 Fur is used to make whole products, such as coats and hats, but also increasingly to adorn clothing, such as fur trim on coat hoods or bobbles on hats, as well as accessories such as fur pom poms on handbags or keyrings. With the rise in global temperatures, trends for short coats with trim, or boleros and vests, are increasing . It takes up to 35 foxes to make a fur coat , but most will be killed for trinkets and trim. 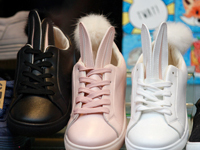 Shockingly, a number of investigations have revealed that items sold in high street stores labelled as synthetic fur were actually real fur , even when stores claimed they were fur free . This includes fur from rabbits, raccoon dogs, mink and domestic cats . A poll found nearly half of consumers use price to indicate whether a product is real fur, but these items are not necessarily expensive and with real fur often not labelled, it is difficult for consumers to make an informed choice. Fur products can be very cheap, and often priced the same, or less than faux fur, especially if bought in bulk. For example, readymade trims and accessories can cost as little as 1c (1p) for a rabbit fur pom pom, $1.50 (£1.16) for a whole pelt, less than $5 (£3.85) for a fox fur scarf and a square metre of fox fur trim starting from 80 cents (62p).